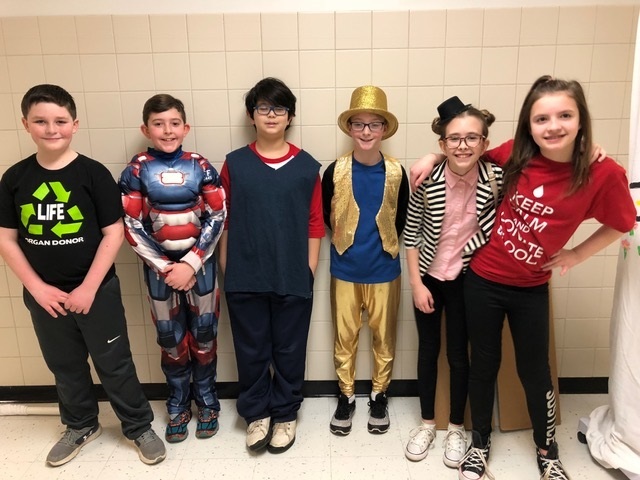 In the fall of 2017, six fifth-graders from DeSales Catholic School in Lockport, New York sat down to go over the Destination Imagination Challenge options and the choice was obvious to them: Service Learning. For the Destination Imagination Service Learning Challenge, students work together in teams to address a real need within a community. Knowing that their Team Manager, Jackie Kearney, was in need of a kidney transplant, the team, 6 Smarties, chose to raise awareness for living organ and blood donation. The team partnered with UNYTS, an organization that supports local hospitals with living donations. The team later planned, organized and marketed a blood drive at their elementary school this past February. Team 6 Smarties at their Destination Imagination tournament. The blood drive welcomed 23 donors, including 12 first-time givers. With 19 units of blood collected, their efforts helped to save 57 lives. The team is also hoping to spread an important message to people around the world. Have a Service Learning project you would like to share with us? Email us at socialmedia@dihq.org.